This camp is designed for children 4-8yrs old. 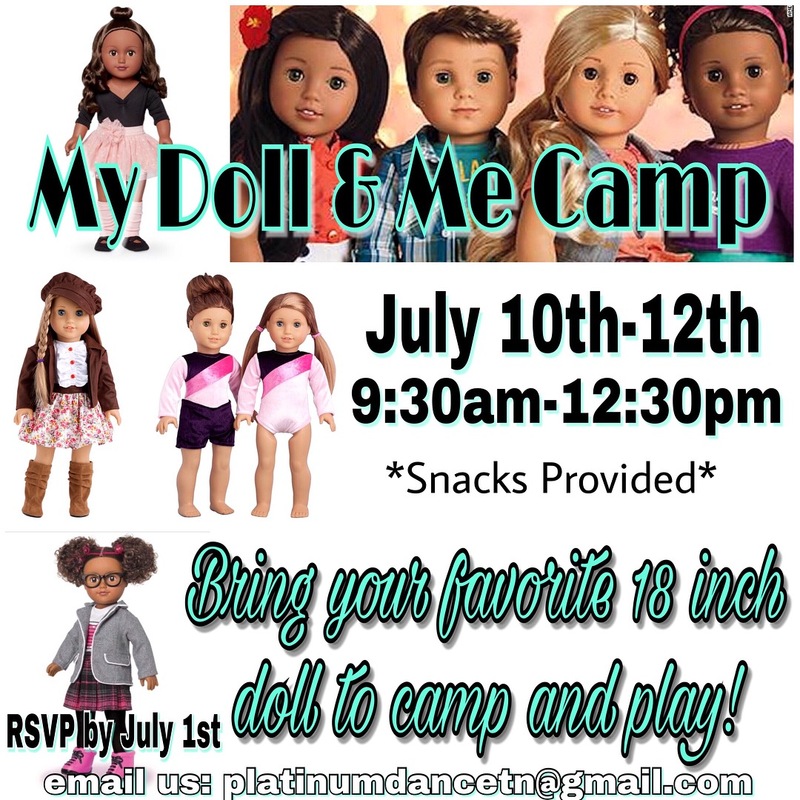 We encourage you to have your camper bring their favorite 18 inch doll to camp and play! Each day will have a different fun theme that incorporates reading, crafts and of course tumbling and dance! This camp is scheduled 9:30 – 12:30pm. Price is $80. 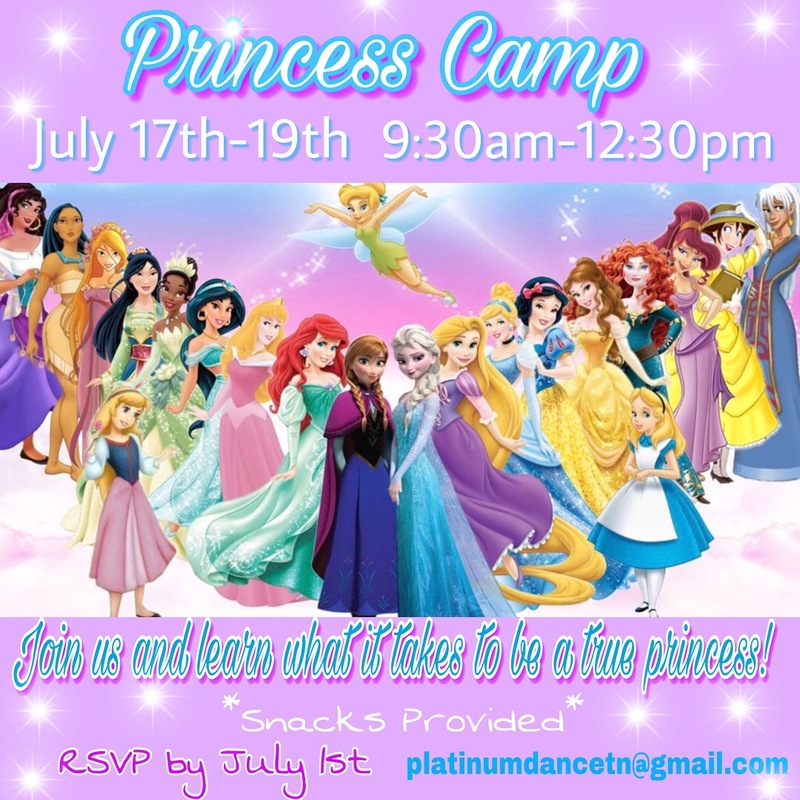 Please RSVP at platinumdancetn@gmail.com by July 1st. This camp is designed for children 4-8yrs old. Each day will have a different princess oriented theme that incorporates reading, crafts and of course tumbling and dance! We would also love to see This camp is scheduled 9:30 – 12:30pm. Price is $80.